Birthday: Sir Sultan Mahomed Shah Aga Khan III - 2010-11-02 | Ismaili.NET - Heritage F.I.E.L.D. Sir Sultan Mahomed Shah Aga Khan was the 48th Imam of the Ismaili community and the grandfather of the present 49th Imam, Prince Karim Aga Khan IV. His birthday is celebrated on November 2. His Royal Highness Sir Sultan Mahomed Shah Aga Khan III was one of those Muslim stalwarts who believed in Islam as a global religion and who worked ceaselessly for its triumph and glory throughout their lives. He had always been passionately interested in promoting unity and understanding among Muslims all over the world and contributed immensely to the social, cultural, political, economic and educational development of the ummah. 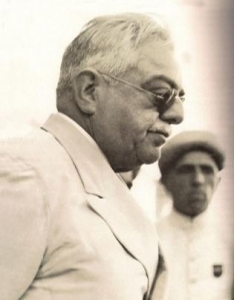 Sir Sultan Mahomed Shah Aga Khan III will always be remembered as one of the most distinguished and well-reputed leaders and diplomats during Pakistan’s freedom movement. Sir Aga Khan, with his vast experience and personality of international stature, proved to be a responsible and productive mediator between the western world and the leaders of the subcontinent.